Today more than ever, we are finding a trend in which schools are looking to or are outsourcing janitorial services. Many reports conducted by school districts such as Coatesville Area School District are showing the financial savings. Districts such as Lancaster show savings of $500,000 dollars per budgeted year. The Mackinac Center studies show that between 2003 and 2008, Michigan School Districts increased their outsourcing of janitorial services by 11%. Almost 100 school districts in 2008 were already beginning to outsource their janitorial and custodial jobs. With the ever increasing expenses of educating our children and the ever changing world we live in our children are required to have more knowledge than ever. Schools need to be able to take every advantage they have to be able to provide a better quality education. Interestingly, some school districts are even reporting better quality of cleanliness as a result of outsourcing janitorial services. Why is this a benefit to a school? One example of added cleanliness is keeping illnesses more at bay. Many cleaning companies are trained, retrained and then educated more on products, techniques that provide the best results. This keeps germs at bay and toxins non-existent. Training and retraining, and product information are more prevalent and implemented by upper level staff. Many school boards face two concerns. The union and displacement of existing janitorial staff. In regards to the union American School & University discuss this issue and reply that the savings combined with ability to focus on curriculum based budgets are so significant that many school districts may need to take on the uncomfortable decision of dismissing a union. On a positive note, many janitorial service companies are offering displaced school janitorial staff opportunities to come work for them. So if you are considering replacing your janitorial staff or custodial staff, what do you look for in a new company? Is it strictly budget cutting? The answer is it depends. As with everything there are always a variety of options and there are multiple factors to take into consideration when looking at outsourcing a cleaning company. The fantastic news in this is that according to the American School & University report, all of these options save money for schools. What is the clearance and quality level of the employees of the cleaning service coming into the company? Being a school, this is of the utmost importance for the safety of the students as well as the safety of the sensitive areas housing sensitive information that janitorial staff has access to. Companies conduct varied levels of background checks and the industry is not the easiest to find stable staff. Finding a company that conducts thorough background checks and offers 5 or 10 panel drug testing is key. It is an industry in which cutting corners is a temptation so make sure the company has a proven track record. 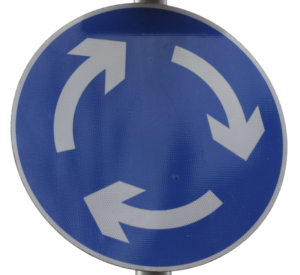 What is the employee and the customer turnover rates? Finding a company that has verified longevity with their customer base is very important. Do they renew contracts? Are they generally happy with their service? Are the complaints normal everyday things that are encounter because of basic human error or are there concerns with level of cleanliness, and consistency of employees. A janitorial company with a record of low employee turnover will increase your chances that time is not lost to retraining, staffing will be pretty consistent, employees are happy and honest. Does the company provide additional services? Basic question because as a school you have more needs than just cleaning. Needs such as basic maintenance, grounds keeping and landscaping, snow removal, and pest control. 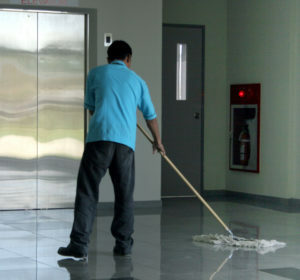 When outsourcing janitorial services, what is level of cleanliness required and desired? This sounds like it may be a silly question, isn’t clean clean? Not necessarily. Unfortunately many schools as well as other facilities who outsource their custodial jobs find this out after a contract is signed and work is being done. A very specific scope of work is so important. One person’s definition of clean maybe very different than another person’s. Do you want to see absolutely no cobwebs ever anywhere? Or are you okay with the cobwebs being cleaned once in a while, but need the desks cleaned daily. Should students’ desks be sanitized daily, should it be weekly, or should they not be touched at all? Whether you are starting to think about outsourcing your janitorial services or whether you are almost ready to renegotiate your existing contracts, we have a history of results and low customer and employee turnover, and would love to have a team of experts to meet with you and your team.